In order to obtain a specialization indicated on their degree scrolls, students will have to complete the number of credits and compulsory module(s) as part of the requirement of the specialist LL.M. Please refer to Degree Requirements for Graduate Coursework Programmes. Alternatively, students may opt from the outset to take any 40-44 credits of modules and graduate with an LLM degree with no specialization. The latter option affords maximum flexibility in course selection according to the student’s individual preferences and interests. 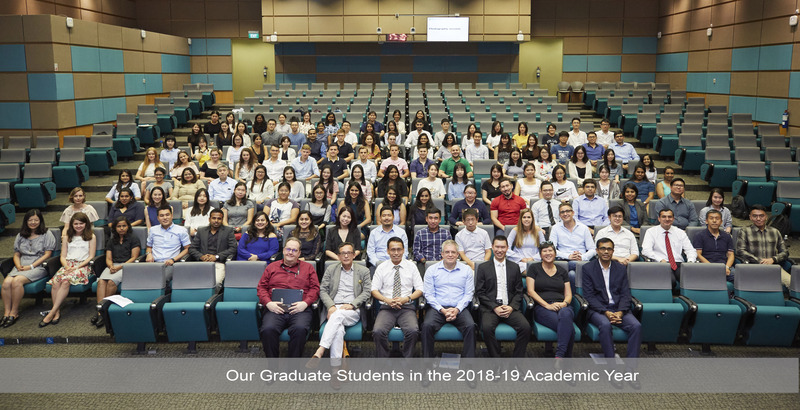 This specialization adds to the diversity of the NUS law school’s graduate offerings, and rides on the momentum generated by the Asian Law Institute (ASLI), established in the law school in 2003. This innovative specialization – one of only a handful available globally - allows students to study in depth the laws, legal systems, institutions and legal traditions of South, Southeast, and East Asia. It also affords the opportunity to focus on particular areas of law (e.g. commercial law, constitutional law and international law) as these are treated across the dynamic continent that is Asia. The specialization will enable students to understand not only the law in its wider socio-cultural context, but to appreciate its linkages with regional commerce, trade and politics. This specialization includes electives in banking (domestic and international), company law and corporate finance, financial services and securities, and taxation. It enables students to acquire both a theoretical base and a practical expertise in the subjects involved. Singapore, as the commercial hub of Asia, is an ideal place for the pursuit of these subjects. This specialization focuses on legal issues raised by the rapid advancement of science and technology. The courses offered include traditional intellectual property law courses, including those on copyright, patents, designs, trademarks and confidential information; as well as others specifically focused on the relevant technologies, such as biomedical law, telecommunications law and internet law. This new specialization enables a student to get an in-depth understanding of the laws of international arbitration and dispute resolution, and benefits from Singapore’s leading edge in the field of arbitration globally. Students will also have access to some of the top arbitrators and academics in the field. The modules offered in this specialisation comprise a mix of public international law and international private law. The increasing opportunity for offshore legal work both in the region and in the world also make the modules offered in this programme particularly relevant to the field. This specialization offers a good mix of public and private international law and comparative law modules. There are courses that focus on trade, investment and commercial issues; as well as those covering modules such as public international law, human rights and environmental protection. There are also specialized courses offering a comparative focus on the laws of major countries such as China, the U.S., the E.U. nations, India, Indonesia, Korea and Vietnam. This specialization enables students to obtain specialized knowledge in legal matters relating to commercial shipping, marine insurance, shipping regulation and ocean policy. These are areas of great importance to Singapore (given its status as a global port) as well as the region. Overseas students accepted into this specialization will normally do it full-time within one academic year. Students working for companies based in Singapore who are supported by the Maritime and Port Authority of Singapore or other companies will normally do the programme part-time and complete it within two academic years. This flexibility is also open to students in the Graduate Diploma in Maritime Law and Arbitration, which is designed for the non-lawyer professional. We also offer a specialized LLM in International Business Law which is taught at NUS in Singapore and the East China University of Political Science and Law in Shanghai. Since August 2008, we started two double degree programmes with the Lee Kuan Yew School of Public Policy – the LLM-MPP and the LLM-MPA.